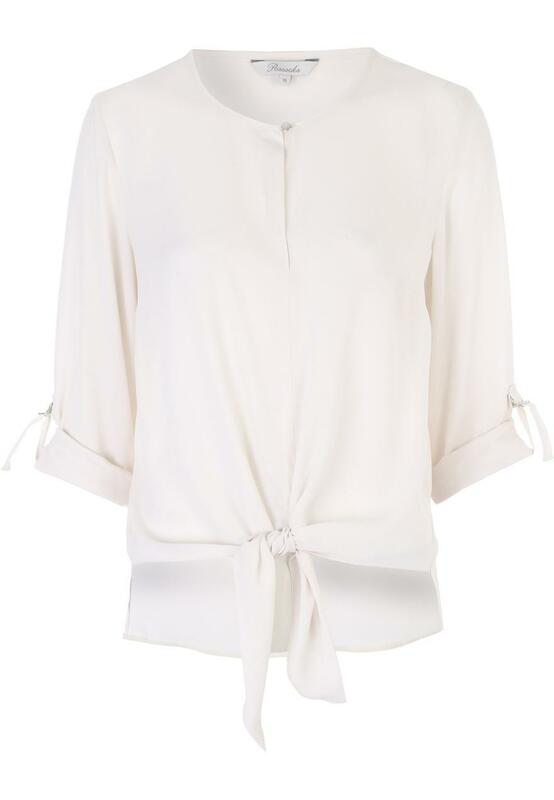 Make a simple yet chic addition to your collection of wardrobe staples with this women's cream tie front top. 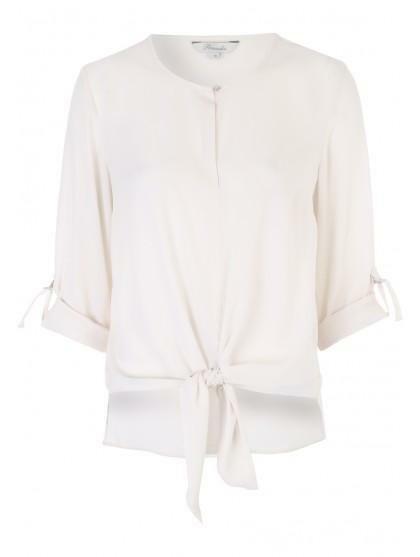 With a dipped hem at the back and optional length sleeves, this top is the perfect base for a chic everyday style. Fairly small for size. Pretty but quite see through.